Here we see the Badlands of Central Oregon. They don’t look so bad, do they? But they are now bad for Geocaching! They are on Bureau of Land Management (hereafter referred to as BLM) land, and more specifically, a designated wilderness area within BLM land. The local district manager is asking that 47 Geocaches be permanently removed, and another 37 closed seasonally (a total of 84 caches), in areas on BLM land deemed inappropriate for Geocaching. The caches are being removed from the Badlands, Spring Basin and Lower White River designated wilderness areas, as well as land on nearby Horse Ridge and other lands deemed inappropriate for caching. Along with designated wilderness areas, these BLM lands have titles such as “research natural areas” and “areas of critical environmental concern.” This story received widespread coverage in the media, one of the most covered Geocaching related news stories we’ve ever seen. Why is that? Read on! We found no less than 8 news articles on the internet, 6 of them from newspaper websites, and 1 each from television and radio station websites. The reason this news was so widely covered (mostly in Oregon) is that the Prineville, Oregon district office of the BLM issued a press release on this matter. We can’t say for certain this is the first time anyone ever put out a press release to say they were removing Geocaches, but the blogger has been Geocaching for 11 years, and has never seen it! Most of the articles are news outlets who picked up (as they say in the news business) An article from the newspaper in the nearest City to the Badlands, The Bend Bulletin. Which turns out to be the most comprehensive and fair article, as a local Geocacher, Yoleen Faerber, who has been caching for 10 years, is interviewed. “Geocaching is absolutely a legitimate use of public land, but it’s inappropriate in wilderness areas,” Carol Benkosky, Prineville BLM district manager, said in the press release announcing the removal of the geocaches. The press release also states, “In 2012 BLM policy prohibited physical geocaches in wilderness areas, while still allowing virtual geocaches. 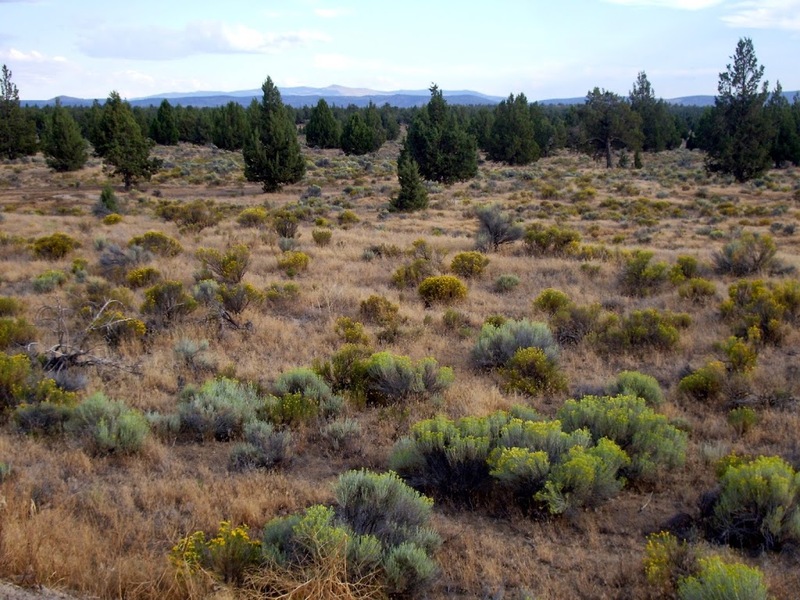 Removal of these geocaches will bring the Prineville BLM into compliance with national policy and protect sensitive sites.” Not that we didn’t believe this, but we could find no documentation of this 2012 policy on the internet ourselves. So we called the contact person listed in the press release, Prineville district public affairs officer Lisa Clark. We found her to be very accessible (she answered personally on the 3rd ring), and very open and informative as well. Lisa said she could provide the 2012 BLM policy prohibiting Geocaching, and did so via email very quickly after our conversation. You can find it here on the web as a .pdf on the National BLM website. Specifically, Geocaching is addressed on page 1-15, paragraph j, which is titled “installations”, (which itself is under Item 2, “Prohibited uses”). It states “Anything made by humans that is not intended for human occupation and is left behind when the installer leaves the wilderness. “Installations” can be stationary (including, but not limited to: weather stations, physical geocaches, and trail signs) or mobile (including, but not limited to, radio collars or other remote tracking devices when they are installed in the wilderness). Installations include things that remain on the landscape such as trails and bridges. They do not include non-motorized devices that are carried by people in the wilderness and leave with them (including, but not limited to: GPS units, emergency location transmitters, cell phones, watches, and computers).” Keep in mind, these are prohibited uses for designated wilderness areas, not all BLM lands. Also during our conversation, Lisa noted one thing her office was a little disappointed in was that most of the news articles gave the impression the BLM was asking for removal of Geocaches mainly on the grounds that they generated too much foot traffic on the trails (or even off trail geotrails created by Geocachers). When in reality, the major reason is compliance with the ban on leaving man made objects in designated wilderness areas for more than 24 hours. The temporary closures for some caches are for areas on BLM land that are closed part of the year to protect wildlife or other resources; for example one area during Raptor nesting season. Lisa also made note that Geocacher owners were given 2 months to remove their own property (caches), and the Prineville office did not want to remove them themselves. She also noted that their office administers 1.6 million acres of BLM land, and 1.5 million acres are still available for unrestricted Geocaching. In other words, only 100,000 of those acres are restricted in any way for Geocaching. 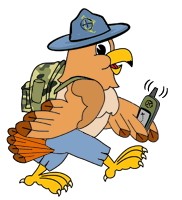 While we feel Geocaching is a low impact activity, and we are always disappointed in any restrictions placed on it by any land managers anywhere, we feel the Prineville BLM office is solidly pro-Geocaching, and willing to work with Geocachers. And land managers and Geocachers working together is a good thing. We’ll file this one under “unfortunate, but not so bad”. Further reading: The recently off of a 7 1/2 month hiatus It’s not about the numbers Geocaching blog blogged about this subject last week, including commentary from a few affected cache owners. We at OpenCaching North America have no caches in any of the affected areas.We of course will make note of this development for any caches submitted to us in the future. What’s the deal with the last link in your post? Sorry, we get so few comments around here, and that was posted some time after the post, so we didn’t see this for about 2 weeks. Don’t worry, it was harmless, it just mistakenly took you to the BLM Geocaching Policy as a .pdf on their website. It now goes to the Not About The Numbers blog post on the badlands. What is frustrating to me is that the BLM removed caches that were placed prior to 2012 when their rule went into effect, and caches that were placed well before the Badlands were ever a wilderness. During the Wilderness Study Period, I worked with one of the leaders of the groups that were lobbying for wilderness designation. I took him out to a cache. He agreed that the cache, and the few other caches in place at the time, should be grandfathered in, and he took that to the BLM. Now Horse Ridge is right across the road, and is a whole different ball of wax. It is known for its mountain biking trails, so it is inhabited by humans year round. The BLM certainly didn’t make its case to the public about what makes it a sensitive area. The reporter and the photographer from The Bulletin were both lovely to work with. I took the photographer out caching on Horse Ridge. He loved it, and planned to take his family out when he learned that he can download an app instead of investing in a GPSr. (The Geocaching Doc Video) LIttlelist GEOCACHER’S Birthday!